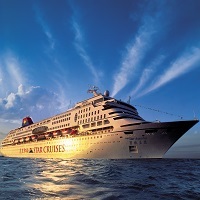 Do you have a long time dream to travel in a cruise? We, at Shreejay Tours And Travels, make sure that you realize your cruise dreams with wide & open eyes. We provide Cruise services at very affordable rates to our customizers. All our professionals ensure that all our services are rendered in compliance with the customers satisfaction without any delay. All our services can be availed at vey nominal rates.